Azerbaijan and Turkey have agreed to further boost cooperation in military sector, putting accent on the military industry. 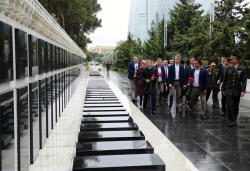 The high-level talks were held during a meeting of Turkey’s National Defense Minister Nurettin Canikli and Azerbaijan’s Defense Minister, Colonel General Zakir Hasanov on September 28. Hasanov first congratulated Canikli on his appointment as Turkey’s National Defense Minister, further noting that Canikli’s first visit to Azerbaijan as a minister is a clear example of the two countries’ bilateral military cooperation. 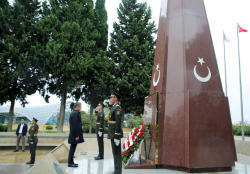 Hasanov reminded that the military cooperation between Azerbaijan and Turkey is carried out both bilaterally and within the framework of peacekeeping operations led by NATO. 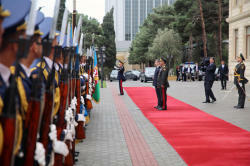 Hasanov said a strategic partnership built on friendly and fraternal relations is constantly developing. 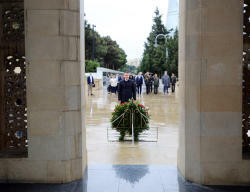 Touching upon the military-political situation in the region, Azerbaijan’s Defense Minister told his Turkish counterpart that the conflict between Armenia and Azerbaijan is a serious threat to regional stability. The Nagorno-Karabakh conflict began in 1988 when Armenia made territorial claims against Azerbaijan. 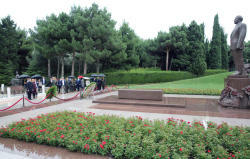 As a result of the ensuing war, the Armenian armed forces occupied 20 percent of Azerbaijan, including the Nagorno-Karabakh region and seven surrounding regions. Today, Armenia still controls fifth part of Azerbaijan's territory and rejects implementing four UN Security Council resolutions on withdrawal of its armed forces from the Azerbaijani lands. 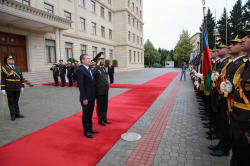 Hasanov further noted the importance of the joint military exercises conducted in recent years in Azerbaijan and Turkey with the participation of various branches of the two countries’ Armed Forces. The minister particularly emphasized the importance of increasing the number of such exercises in the future. 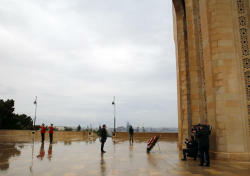 So far, the Azerbaijani and Turkish armed forces have hold regular drills, featuring various tactical and combat tasks both on Turkish and Azerbaijani territories. This May, joint exercises of the two countries Armed Forces were held in Azerbaijan. Later, in June, the two countries had military exercises in Nakhchivan. Currently, the two countries' Air Forces are engaged in TurAz Eagle – 2017 joint flight and tactical exercises in the Azerbaijani territory. The exercises that started on September 18 and will wrap up on September 30 involve up to 30 aircrafts of the Air Forces of Azerbaijan and Turkey, including MiG-29, F-16, Su-25, C-130 Herkules, CASA CN-235 aircrafts, as well as Mi-35, Mi-17 and Sikorsky S-70 helicopters. Nurettin Canikli, in turn, spoke about his meeting with President Ilham Aliyev earlier in the day, and noted that the ties between Azerbaijan and Turkey are based on ancient historical roots and friendly relations. 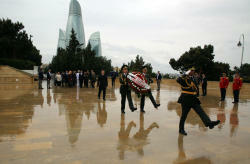 He also stressed that Turkey is an important partner of Azerbaijan. 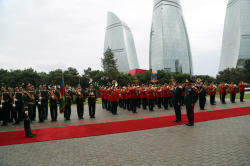 By and large, the meeting of the Azerbaijani and Turkish military leaders discussed the prospects for military ties, development of cooperation in the military and military-technical spheres and in the field of military education and medicine, the expansion of activities within the framework of the High-level Military Dialogue. The ministers also mulled the development of joint plans, organization of mutual visits of expert groups, and other issues of mutual interest.